RJGC is glad to invite public and private sectors, researchers and specialists to participate and submit abstracts about the conference main topics. More information in the following attachments. 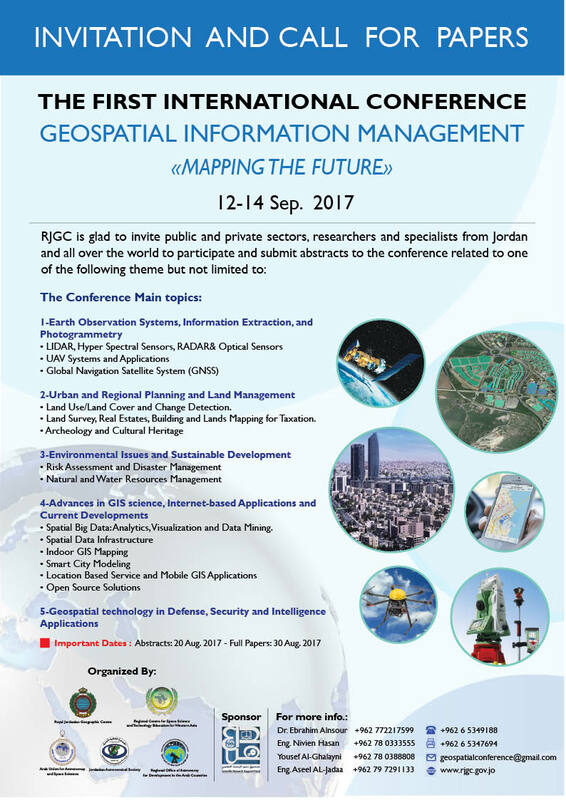 Geospatial Information Management "Mapping the Future"